SDH Institute’s Advanced Diploma in Events Management programme aim to prepare students to ride confidently on the tourism boom spurred by the development of the Integrated Resorts (IRs). Our Diploma and Advanced Diploma programmes seek to maximise learning by utilising hands-on discovery and discussion presentations; which allow room for creative thinking and problem-solving. Students will graduate with cutting edge knowledge of the best industry practices, as well as a service innovation mindset, adding further value to their future employability. 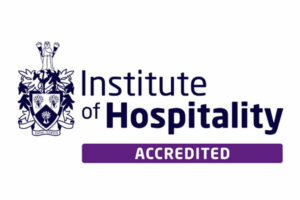 The Advanced Diploma in Events Management is awarded by SDH Institute. This programme study is intended for students who seek to advance to the Bachelor’s Degree Level. Students must successfully complete all modules as prescribed in order to be awarded the Advanced Diploma. The Advanced Diploma in Events Management provides the learner with the needed knowledge and practical skills to develop and employ supervisory and management responsibilities in the area of events management. It prepares students to embark on the higher-level career in the booming global hospitality industry, particularly in Meetings, Incentives, Conventions and Exhibitions (MICE). Students will graduate from this programme with up-to-date knowledge derived from exposure to the industry’s best practices. 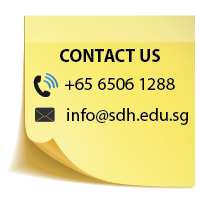 SDH Diploma in Events Management; or Diploma equivalent to Level 4 of UK qualification framework in Hospitality/Tourism related field. Obtained a passing mark of 60% in all examinable module. This course covers issues and methods in tourism development planning from the perspective of sustainable development, that is, where it is important to use resources to meet the needs of society today in such a way as to ensure the availability of resources, thus meeting the needs of future generations. This is done via the application of many traditional public planning methods, emphasising community participation and ecosystem management models. Quantitative Methods is the application of a mathematical and scientific approach to solving business and management problems in order to help managers make better decisions. It is intended to provide students with an understanding of the role that quantitative methods play in the decision making process. It encompasses a number of mathematically oriented techniques that have either been developed within the field of management science or been adapted from other disciplines, such as the natural sciences, mathematics, statistics, and engineering. This course introduces students to microeconomic principles and theories in the context of applications and solutions associated with the service industry with a focus on hospitality and travel. Topics include: principles of production, supply and demand, firm behavior, costs, pricing and topics specifically associated with the travel and hospitality industry. Course work includes readings, lectures, discussions, problem sets and guest speakers. This Module aims to equip the students with an understanding of the basic concepts associated with corporate financial management. It provides an overview of the techniques used by the financial manager in making the underlying financial and investment decisions and uses various methods to maximize a firm’s wealth. Topics include financial forecasting, planning & budgeting, financial statement analysis, time value of money, valuation of the firm using risk-return models, capital budgeting and cash flow. This course covers pertinent management issues and principles relevant to the food and beverage industry at large. Attention is initially focused on major industry segments, business practices, and trends. Subsequently, detailed consideration is given to the components of the F&B service system: marketing, menu planning, production, service, controls, and quality assurance. Product and systems differentiation in various industry segments are emphasized throughout the course. This module investigates the structure and nature of the events industry, with specific focus on the business and sports sectors, respectively. The surveys of these sectors are taken within the broader events industry to highlight areas that make them unique components of the events industry. This module also identifies the history behind events and discusses local and national government involvement and policy towards the staging of events. It recognises the economic significance of events on a regional, national and international level. Students have the opportunity to be placed in one of our partner’s hospitality companies. In the 6 months of attachment, students may be rotated in different departments and roles to gain substantial experience required for them to gain a foothold in the industry after they graduate. Supervisors will be placed in the charge of students. The supervisors will conduct site visits to understanding the students’ working conditions and performance. Assessment of the students’ performance is after 6 months by the respective company management and designated supervisors. Get Your Advanced Diploma in Events Managements!